As some of the Democratic Party's heavyweight contenders start announcing their intention to run for president, there remains a chance that President Donald Trump will square off with a fellow billionaire come 2020. But does anyone on the left want a candidate from the private sector as their nominee at a time when some in the party are running hard against big business, corporate greed and Wall Street? 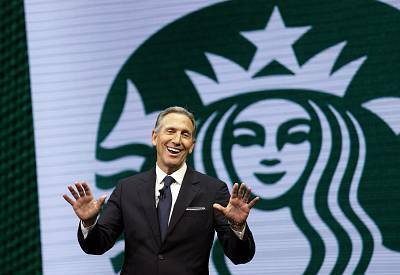 Entering the cycle, three billionaires appeared poised to seek the presidency: Former New York City Mayor Michael Bloomberg (Forbes estimated his wealth at over $46 billion); Starbucks founder Howard Schultz (Forbes pegged his riches at $3.3 billion); and ex-hedge fund chieftain and impeachment activist Tom Steyer (Forbes ball-parked him at $1.6 billion), who has since removed his name from contention. Trump is worth $3.1 billion, according to Forbes. Early polls showed none of the three would start from a position of power. A December straw poll from the liberal advocacy group MoveOn found Bloomberg in eighth place among 2020 contenders while Steyer finished a distant 23rd and Schultz found himself in dead-last. If any of the mega-wealthy potential candidates "look like they're running simply because of their own ego or they like their names in lights, their candidacy will never get out of the gate," Jesse Ferguson, a high-ranking staffer on Hillary Clinton's 2016 presidential campaign, told NBC News. But, he added, if any candidate can "present an authentic, believable antidote to Trump," they can resonate with voters. Steyer, one of the Democratic Party's most prominent donors and an advocate for climate change action, told NBC News that business acumen and a big bank account should not be a roadblock to the Democratic nomination simply because Trump ran a campaign claiming that he was the world's best deal maker. "Look, as far as I know, Mr. Trump never succeeded in any business other than inheriting money, which he was quite good at, and being a reality TV star," Steyer said. "As far as I can tell, that was the extent of his business success." As for his billionaire contemporaries, Steyer said it's too early to say whether he would support Schultz or Bloomberg or someone else. He said Bloomberg has been "a good partner" on climate-change initiatives. If one of the super-rich potential candidates were to jump in, he'd look at "the basis on which they intend to run...including whether they believe this president should be impeached and removed from office." Schultz and Bloomberg, who's teased a presidential several times in the past but never declared, are mum about whether they will run. Schultz, who declined an interview for this story, is embarking on a book tour this month and The Washington Post reported Saturday he is considering an independent presidential bid. Bloomberg, who also declined to comment, told NBC's "Meet the Press" he will make up his mind by February. Bloomberg has ramped up his schedule, speaking on climate change — a signature issue and an area where he's drawn a stark contrast with the Trump. On Monday, the former mayor will speak at the National Action Network's Martin Luther King Day breakfast in Washington, D.C. — an event that will be attended by fellow potential presidential contender and former Vice President Joe Biden. 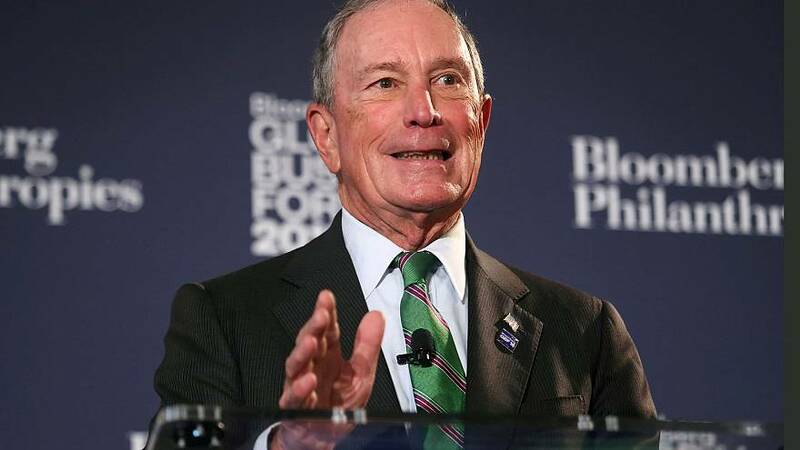 While speaking at the University of Toronto last week, Bloomberg said a potential candidate like himself — not only a billionaire, but a white man over the age of 50 — shouldn't be discounted. "Somebody the other day said, 'If you're over 50, white and male, forget about it. You're never going to get elected in America ever again," Bloomberg said. "We've gone a little bit too far in some of these things in terms of thinking that the world's changed. People still want somebody with maturity and experience and accomplishment." Some believe that with such an expected large Democratic field in such a Trump-disrupted political environment, anything is possible. "Looking at these guys, I don't think there is really an intrinsic benefit or problem of their being rich. It will help them get the message out," said Aaron Fritschner, communications director for Rep. Don Beyer, D-Va., adding that it is unclear what type of coalition of primary voters a candidate like Bloomberg or Schultz will appeal to. "The problem is formulating the message and fitting it to a constituency that can win in battleground primary states," he added. "While I have a lot of trouble imagining what it might look like, it's still early and nearly everything I expected to happen in 2016 was ultimately proved wrong." One of the party's leading contenders — Democratic Sen. Elizabeth Warren of Massachusetts — has already taken the potential billionaire candidates to task over the issue of self-funding their candidacies. She said on MSNBC's "The Rachel Maddow Show" earlier this month that Democrats should say "no to the billionaires whether they are self-funding or whether they're funding PACs." Bloomberg said days later that he would self-fund his candidacy if he runs. Bradley Tusk, founder and CEO of Tusk Holdings and Bloomberg's former campaign manager, said he understood why Warren made those comments. "You know, fundraising is probably a bigger challenge for her than it is for some of the other candidates, let alone some of the self-funded ones," Tusk said. "So she's putting out a view of the world that is good for her and one that fits with her narrative." Steyer, who would've had the ability to provide significant self-funding for a presidential campaign, said he agreed with Warren "where she is concerned about money in politics." "I think the hostile corporate takeover of our democracy is a central issue," he said. Regardless of what the early polling says, Tusk said it would be wrong to make any assumptions about how the field — which could feature 20 or more candidates — could shape up at this point. "The best thing we can do is have a really robust primary with lots of elections and lots of candidates and lots of debates and lots of everything and see who actually connects," he said.